This is a little embarrassing to share, but makeup wipes used to be my entire skincare routine. That was up until I moved to the United States. Here I began to experience skin problems I had never encountered and started to learn how to care for my skin. As a makeup lover that was just using a few wipes to take it off and call it a day, I believe that using oil cleansers made a significant difference. 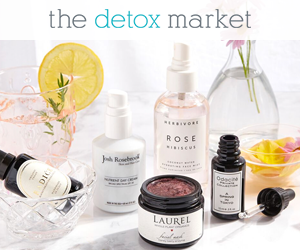 No surprise there–I was finally cleansing my skin the proper way. 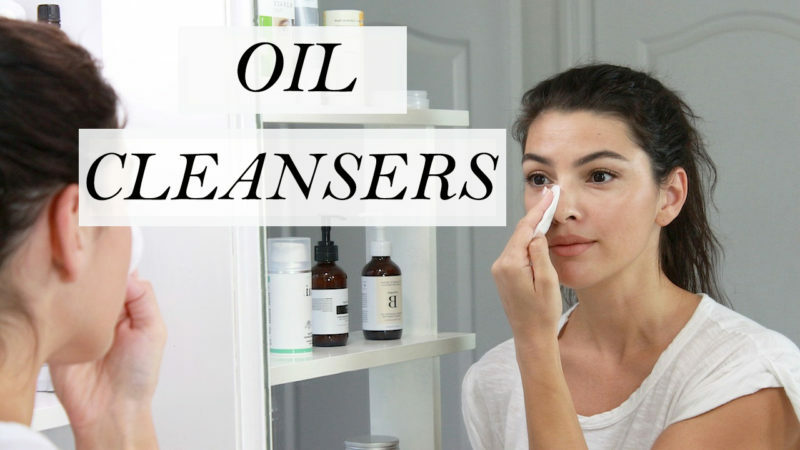 In the video below, I talk about what the purpose and benefits of using an oil cleanser (vs. any other beauty/kitchen oil), and I share my top picks. I have tried quite a few products over the past years, and these are the ones I have enjoyed the most. I do plan to continue to try more and will update the post as I find new products that work well. I hope you enjoy the video, and please leave comments to share your recs or ask questions. This oil cleanser contains a very mild surfactant that makes the removal process easy, and beta-glucan to strengthen the skin barrier (studies show that it helps in the treatment of dermatitis, eczema, bed sores, wounds, and burns). I recommend this to people with delicate, easily irritated skin. I repurchased this one because it’s the only one that removes my Coola Stick Sunscreen (mentioned in this post) effortlessly. 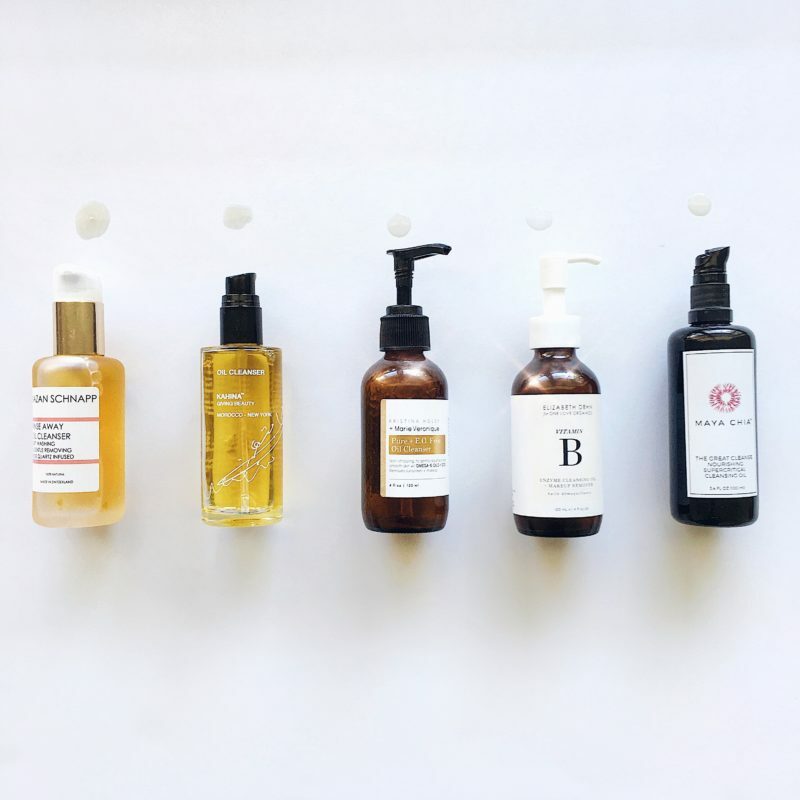 The Kristina Holey + Marie Veronique Oil Cleanser is cruelty-free. Shop here. I would not call it exactly a “rinse away” oil cleanser, because I cannot simply rinse it off by splashing water on my face. However, in contact with water, this oil turns into a milk, which is a pleasant texture for massaging the skin. With a damp face cloth, I am able to remove all of the product with no issue. Because of its rich texture, I think that people with dry skin would enjoy this product–as long as they have no issues with essential oils (keep in mind that the essential oils that make the fragrance are not listed). I actually enjoy its scent and have not experienced any irritation. The Nazan Schanpp Oil Cleanser is cruelty-free, and vegan (PETA certified). Shop here. This is easily one of the best on the market. It does the job well and can be rinsed off with water. On lazy evenings, I apply a few pumps to my face and begin to massage, and then I hop in the shower and rinse it off (massaging the skin while rinsing helps to remove it better, but the cloth isn’t necessary). Sometimes I don’t even follow with a second cleanse, because this oil cleanser does not leave residue on the skin. I love it. The Kahina Oil Cleanser is gluten-free, cruelty-free, non-gmo and vegan. Shop here. This oil cleanser is everything I hoped the May Lindstrom Pendulum Potion would be. I loved that cleansing oil texture and scent so much, but I did not appreciate that it did not contain any mild surfactant (used to make the product emulsify) that would allow it to come off easily. This Maya Chia oil cleanser has a similar, soothing, earthy scent, and a silky texture, but comes off like a dream. The Maya Chia Cleansing Oil is gluten-free, cruelty-free, non-gmo, and vegan. Shop here. I am pretty sure that no one is surprised that I included this one. It’s been my go-to and only oil cleanser for years before more options became available. It’s a simple formula that does the job well, but it does require wiping with a cloth in order to be removed properly. Contains essential oils, which are problematic for some people. I haven’t had any issue with it, though my skin is delicate. The One Love Organics Cleansing Oil is cruelty-free and Eco-Cert certified. Shop here.